Around 90 organisations, businesses and companies are booked into this year’s National Fruit Show – the top fruit industry’s showcase event which each year boasts a stunning display of around 60 metres of the best British top fruit. In addition to feasting their eyes on this display of competition fruit, the crowds will be able to visit some newcomers to this annual event, which this autumn is taking place on Wednesday 25th and Thursday 26th October at the Kent Event Centre Detling, Maidstone. 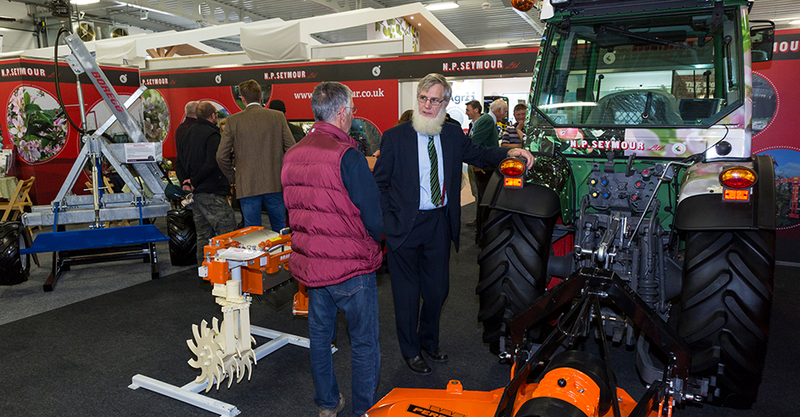 New exhibitors include Hans Wanner GmbH, a German producer of vineyard and orchard sprayers and WH Skinner and Sons – a long-established, Kent-based agricultural/arboricultural contracting business whose wide range of services include orchard grubbing, windbreak removal, dangerous tree removal, cultivations, timber extraction, farm road building, excavations and trenching. The show also welcomes two palette manufacturers, namely Dawid Kudelka based in Poland, and Inka Pallets from Essex, as well as two new cooling companies – JD Cooling on stand S63 and S64 and Orchard Cooling on stand S72. Greenyard Fresh UK (part of the global Greenyard Group) is sponsoring the Bonanza Prize, which is a luxury five-night stay for two people in Cape Town, South Africa.